Silvius Leopold Weiss was born in 1686 near Breslau (what is now Wrocław) in Poland. He was taught the lute by his father, Johann Jacob. His first appointment was in 1706, to Count Karl Philipp of Palatinat-Neuburg. 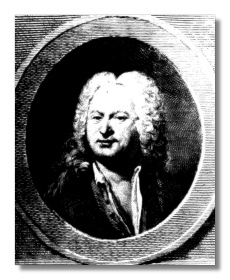 Weiss was employed at the court of Dresden from 1714 until 1718 when he was appointed chamber musician to the Prince Elector of Saxony, who was King of Poland at the time, and held this position until his death in 1750. So treasured were his talents that he was soon the best-paid musician at the court of Dresden. He rubbed shoulders with, and performed with, some of the great musicians of his day: flute-player Johann Joachim Quantz; the violinists Francesco Veracini, Franz Benda and Johann Georg Pisendel (who studied with Antonio Vivaldi), and the composer Carl Heinrich Graun.